Petroleum and Natural Gas Minister Dharmendra Pradhan has been pitching a move to bring fuel under the General Sales Tax ambit in a bid to assuage the worried masses. There have been many meetings to discuss this issue threadbare, but action has been elusive because central excise does contribute a chunk of revenue when income tax slabs have been static for some time. 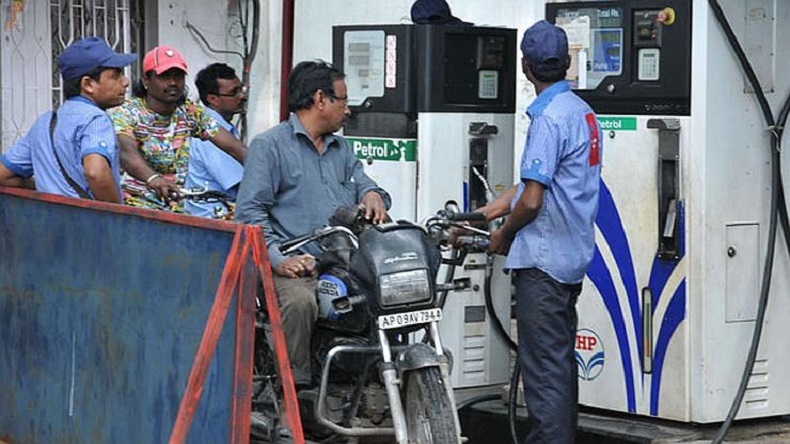 Ever the populist, the Bharatiya Janata Party has for once sternly said it has nothing to with the soaring petrol and diesel prices of the last few days, blaming them on the deregulation of fuel prices while looking firmly away from entertaining a cut in central excise. Petroleum and Natural Gas Minister Dharmendra Pradhan has been pitching a move to bring fuel under the General Sales Tax ambit in a bid to assuage the worried masses. There have been many meetings to discuss this issue threadbare, but action has been elusive because central excise does contribute a chunk of revenue when income tax slabs have been static for some time. Even a hastily called press briefing addressed by union ministers Radha Mohan Singh, Piyush Goyal and Dharmendra Pradhan on Wednesday, September 12, ended up discussing ethanol prices and railway electrification among other keenly-awaited items of immediate attention. The ministers refused to speak to the media on the high fuel prices, yet again. Instead, the states are being blamed for not cutting VAT, which is a Lilliput compared to the giant central excise component. A fact being crowed endlessly by Congress MPs including Thiruvananthapuram representative Shashi Tharoor. The end result is petrol is expensive and so are LPG and diesel, waiting for inflation and truck strikes to hit home, increase prices of vegetables and provisions and end up alienating people. That’s fair game for the BJP though, remember November 8, 2016? The party had defended demonetisation, saying the move will be hailed by the poor as a means of getting even with the black money-hoarding rich. It is another matter that the Reserve Bank of India said almost all the money is back and banks are paying interest on it. Also forgotten is the mysteriously absent Rs 15 lakh per account story that warmed the campaign trail for 2014. As much as the government in power says states have their say in cutting VAT on petrol, only a few states have cut it because, surprise, surprise, they don’t have other modes of revenue without incurring voters’ wrath. As of now, Rajasthan, Kerala, West Bengal and Andhra Pradesh have passed on nominal cuts. India remains a unitary state with something called the Indian version of federalism, like the local version of secularism that is also being attempted to be rubbed off the Constitution’s preamble. But there is no shortage of confidence. At the recent party executive, BJP chief Amit Shah predicted that the Narendra Modi-led dispensation will win the 2019 Lok Sabha elections and will rule for 50 years. If the confidence on display was missed, Shah underlined it again a few days later in Jaipur, Rajasthan, where he said the lynching of Mohammed Akhlaq and the subsequent Award Wapsi campaign will not prevent the party’s return to power in the state. Rajasthan has had more lynchings than the late Akhlaq’s home state Uttar Pradesh. In India, the government ruling at the Centre is the mai-baap of all. Which is also why like in the good old days, the king is well, king . What does one do when the king says no, nothing can be done? Well, the PM hasn’t said a word, which is even more disconcerting. It is not about the educated, the barely literate are even more bewildered that the baggage-less man they voted in to bring about such momentous change has not said a word about the spiralling fuel prices and the general despondency. It is all fine to issue exhortations of a 50-year rule and tease the lib-secular folk with pointed barbs, but someone in the BJP should see the smoke rising from the yagna fire. Many columnists smell fear of failure in the BJP ahead of 2019. 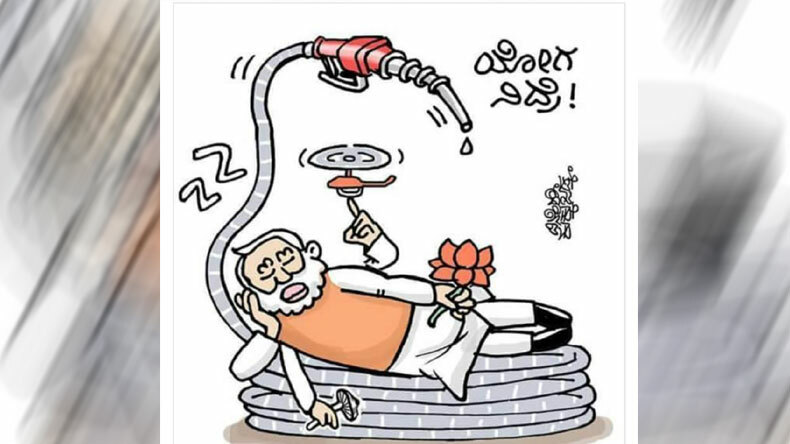 The Opposition has got its tail up, and with rising fuel prices, it can all go down for the BJP like Lanka after Hanuman’s romp. Or not, since we don’t know what the BJP has in mind.